Roshambo Baby classic wayfarer style sunnies fit kiddos 4 and up depending on head size. The durable, virtually unbreakable, flexible and ultra light material is specially designed with your kiddo in mind. Each color has a sweet 80's throwback name! 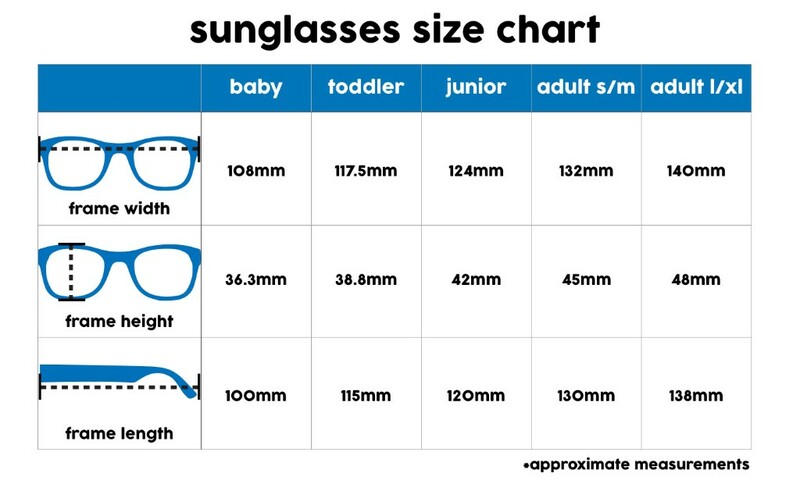 fits 4+ years depending on head size. the flexible material gives lots of room to grow!